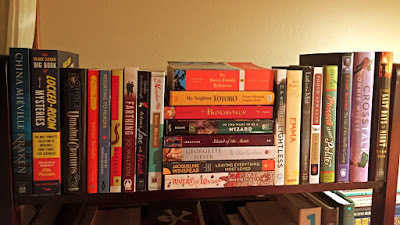 With each change of season, I always take the time to reshuffle the books on my TBR bookshelf (and the adjacent piles) to put those I most want to get to on the top shelf. I've just finished that task again and it looks like I'm in for a summer of short stories, mysteries, classics, and escapist fiction. The two books I'm working on right now are Tremontaine (from the library) and The Children's Book on audio. They are both over 600 pages long so I'm not sure how many of these 25 books I will get to but it makes me happy to have such a fun shelf to look at! There are so many places I can go, so many unique people I can meet. Ooh, I love the doubling up on Jo Walton! At the beginning of the year, I put together a stack of books for me to get through in 2017, mostly because I was so appalled by the way my reading from my own stacks has really dropped. I have read a few books from my shelves! But still mostly the library. Maybe now I'll pause on my library hold list and go back to at least read a few more! I did so well on that Read My Own Damn Books project last year and then totally went back to mostly library books this year. I paused my library list for the summer too and just have two or three books still here (one is Ted Chiang!) 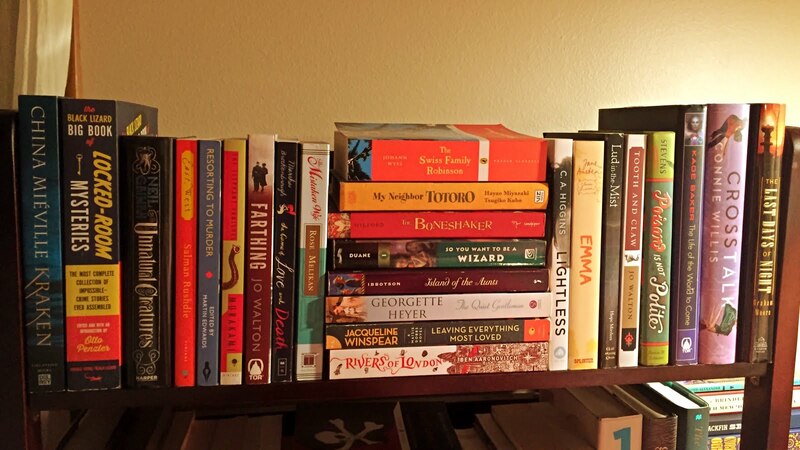 and hope to do the rest of my summer reading from my own shelves to get back on track. I love picking my next stack of books! I haven't picked my summer books yet because I still have a John Rebus mystery and Shadow of the Wind to finish from my spring stack.